Are the U.S. and Kiev Junta Planning a “False Flag” Chemical Attack in East Ukraine? To Place the Blame on Russia? We bring to the consideration of GR readers an important video interview. Unnamed sources in the Kiev government have leaked the Junta’s intent to use chemical weapons against the people of Donbass. The last time “Strelkov” warned about a similar occurrence, a few days later Kiev forces attacked a chemical plant. Fortunately, the missiles and rockets which were fired by Kiev forces missed their target. Had they succeeded, this would have resulted in countless deaths. Interview with Alexander Ivanovich Zhilin, journalist and military expert on Abkhazian Network News Agency (ANNA News)’s program called “Actually”. The subtitles are in German.An English transcript is available below. Below is a translation (English) of this important ANNA News interview. ANNA News host: Alexander Ivanovich, you have something to say to the people, we are giving you this opportunity. Alexander Ivanovich: Thank you very much. I would like to ask journalists, politicians and the people a favor. Please defend Ukraine. I’m asking you to defend it like a territory in which it is still possible to live. Yesterday around 3 am Moscow time, we received confirmation from Kiev that a sinister provocation was in preparation. 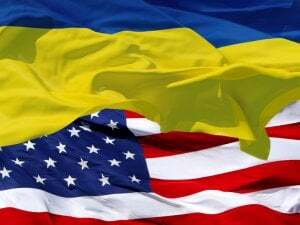 The United States of America are trying to use chemical weapons in Donbass with the help of fascists [Kiev forces]. They will try to use these weapons in the following manner …. They will first strike Donetsk and Luhansk, then within a 40-50 minutes interval they will strike the ammonia reservoirs. Then, if the consequences are really dire, within 20 hours they will strike again, but this time with real military chemical weapons, you understand? This diversion is designed to have barbaric consequences and here is what is being done to make it happen. Yesterday Mr. Biden, Vice-President of the United States led a cover-up operation on this information. It was officially determined what will be said, namely that Russia has fired missiles and heavy artillery on the Donbass territory. Why would they do this? What are these lies for? That is what is planned. When the Americans together with the junta strike elements that are dangerous for the environment, they will also say that it was done by Russia, that the Russians overlooked this important material and accidentally destroyed it, that is how the Russians are portrayed. Why am I saying all this? At first glance, the citizens will think: what can a lesser mortal like us do? Well if we do everything we can now to make this information widely known, then we will pull the rug from under the [Kiev Junta] Barbarians … They won’t be able to make these provocations throughout the world. That’s why I’m calling on journalists, regardless of the position you hold, whether it is for or against the junta and even on Poroshenko’s Channel 5, just let us defend Ukrainians. End the war once and for all, people must live there! And if we allow such a catastrophe to occur, Ukraine will not support two catastrophes, one which happened in Chernobyl and another one in Donbass. The country will then be paralyzed for hundreds of years. Therefore, in order to save the people, the children, the elderly, let’s unite, stand back-to-back to not let this happen. ANNA News host: Thank you Alexander Ivanovich, we will do our best to make this video available to the people. We are begging all of you who have seen this video to share it as much as you can on all social networks, and send it personally to all your family members and friends.